Voronoi regions around symmetrized sets of points are shown in different colors. 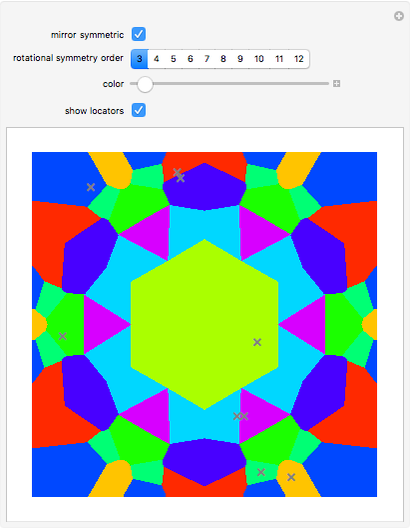 To change the existing pattern, just click the graphic and move the cursor. 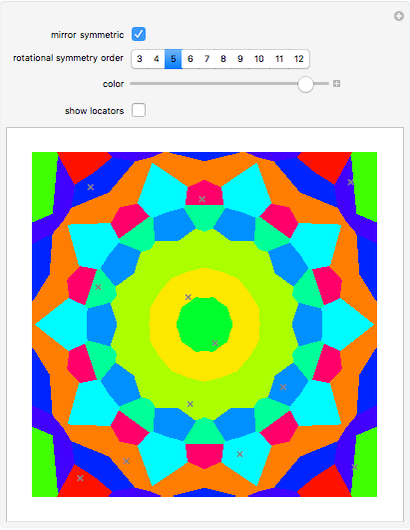 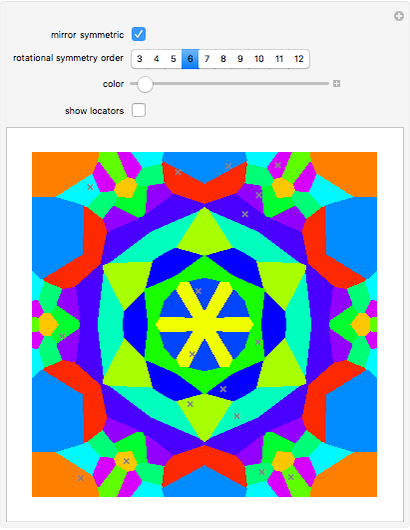 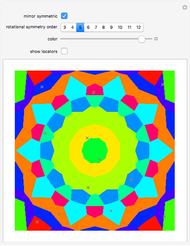 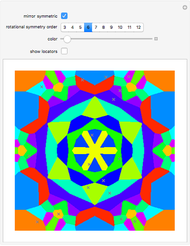 To generate more intricate patterns, repeatedly ALT-click the graphic at random positions.